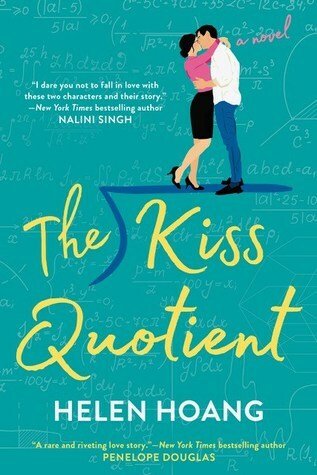 The Kiss Quotient. Helen Hoang. Romance/Contemporary/Adult. 2018. 336 pages. 4 stars. People don’t like honest. Except for when you’re saying good things. She was herself. She was enough. She could be anything. She could make herself into anything. She could prove everyone wrong. This is a debut novel that I had the pleasure of reading! For a debut, it was wonderfully written with amazing and complex characters. It was all about Stella wanting to improve her romantic interaction with men due to her Asperger’s. Honestly, I was quite nervous reading it because I have never read a book like this before. Surprisingly, I loved it! We have Michael Larsen and Stella Lane, two main characters who have their own issues and problems. We see them tackle these problems individually but grow together as a (fake) couple since it was a compromise to their original arrangement. Instead of Michael teaching Stella on how to be a good partner in bed, they agreed that Michael would teach her on how to be a good partner in general. These kinds of plots only have one direction to go to–love. As much as I liked the book, I didn’t really like the whole insta-love feel of it. It wasn’t convincing to me that they would fall for each other that fast. For a book that is full of fluff and growth, I have to admit I got bored a few times. However, there were many moments that really won me over because this book has a lot of funny quotes! If he stopped buying boxers now, it meant he loved her back. Money is better than men. I want a Hermès bag. Another thing I loved about this book was the Asian background! Michael is Vietnamese, and we see a lot of his family in the chapters. I love Asian families. Since I myself am Asian, I absolutely loved the quote above because it really is such an Asian thing to say! Overall, I had a great time reading this book and I loved how it tackled autism in a positive light. It was able to shed light on how it affects people’s behavior without getting awkward about it. 4 stars! Great review!☺️ I’m looking forward to read this book and I’m glad you loved it. Great review! I’m so glad this one has been getting so much buzz lately!